The Midnight Review: Big Government Claims Comcast-NBC Merger A Progressive Shakedown, Huffington Post A "Comcastrophe"
Big Government Claims Comcast-NBC Merger A Progressive Shakedown, Huffington Post A "Comcastrophe"
I thought this was very interesting - Mike Wendy at Big Government wrote a recent post complaining about the relatively recent merger of media giants Comcast and NBC. As I wrote about previously on these pages, the Comcast Merger Order “voluntarily” commits the new company to foster local journalism via the “Voice of San Diego Model,” a socially progressive news organization. ProPublica, The Chicago Reporter, and KPCC make good on this promise. They are archetypical liberal media outlets, which are supported in large measure by the usual suspects among America’s top progressive foundations (like Soros, Ford, MacArthur, Knight, Pew, etc.). Wendy's beef with the Voice of San Diego stems from the support of non-profit Open Society Foundations, which was established by George Soros in 1984 "to help countries make the transition from communism." The reason I find this interesting is because Wendy claims the merger was permitted so that it may be used a giant progressive propaganda machine. Now to be fair, NBC is no paragon of conservative thought. And, Comcast’s Brian Roberts is reported to be one of Obama’s biggest contributors to his Victory fund. Further, neither party came to this deal as a naïf – they knew what they would face from the government. Especially this one. But, would this buildout have occurred without the “voluntary” agreement? No. That aspect of the Merger Order would not have been unnecessary if they were. Quite frankly, the government ploy here is not much more sophisticated than a backroom hold-up by a local mobster. This is interesting because popular news site (and somewhat progressive-leaning) The Huffington Post also attacked the merger. You should be afraid and mad as hell. 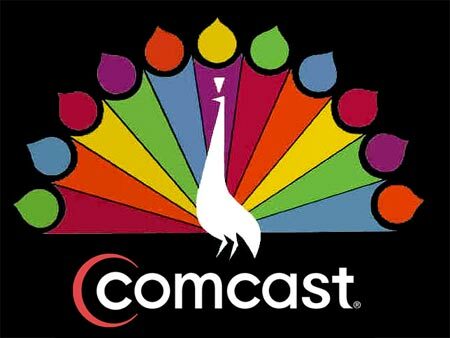 The new Comcast will control an obscene number of media outlets, including the NBC broadcast network, numerous cable channels, two dozen local NBC and Telemundo stations, movie studios, online video portals, and the physical network that distributes that media content to millions of Americans through Internet and cable connections. So conservatives like Wendy are upset because they think the merger means an assault on America because of government requirements placed on the deal and progressives dislike the merger because it consolidates various media outlets into the hands of one corporation. So the real question here is "Why are conservatives blaming progressives for this merger?" The answer is rather simple. With the merger comes the potential to dilute the power of conservative media outlets like Fox News. The fears of Wendy and Silver stem from the same place but Wendy's fear is more about selfishness. Consider the two arguments: the merger will allow unprecedented growth of progressive philosophies and the merger grants unprecedented control of information to a single corporation. Which argument sounds more important?